Emily, an alcohol-addicted young Inuit woman racked by painful memories of sexual abuse, went to jail for manslaughter in 2009 — joining what a newly released report calls one of the fastest growing segments of Canada's prison population. 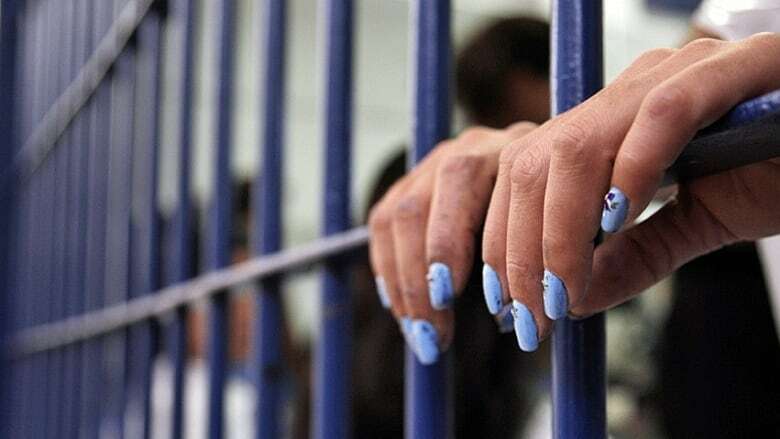 The number of aboriginal women who were locked behind bars in federal institutions grew a staggering 97 per cent between 2002 and 2012, the study by the federal Justice Department concluded. By comparison, the number of aboriginal men increased by a comparatively small 34 per cent during that time. "Aboriginal women are particularly over-represented as offenders in female institutions and correctional services," said the 2013 report, obtained by The Canadian Press under the Access to Information Act. "This representation has been growing in recent years and at a faster rate than aboriginal male offenders." The focus of the study is female aboriginal offenders — a group largely neglected by other research, the study concedes, although the Office of the Correctional Investigator has also studied the issue. "The over-representation of aboriginal people in the Canadian criminal justice system has been acknowledged as one of the most challenging aspects facing the justice system today," it said. "However, much of the attention to this over-representation has been focused on aboriginal people as a whole, without giving appropriate attention to the unique situation of aboriginal women as offenders." The report found common threads among aboriginal women in the criminal justice system. They tended to be slightly younger than non-aboriginal women, had less education and struggled to find work. Substance abuse was also rife among female aboriginal prisoners. "Among all those admitted to sentence custody, aboriginal women were assessed as having higher levels of need compared to non-aboriginal female offenders in all need areas," the study said. The document also sheds some light on the crimes that landed the aboriginal women covered by the study behind bars in the first place. Two out of every three aboriginal women were put into federal custody for violent crimes, such as assault, uttering threats, robbery, sexual assault, criminal harassment, forcible confinement and murder. That number drops to one in three for non-aboriginal women, leading the report to conclude that, "Aboriginal women were substantially more likely than non-aboriginal women to have been admitted to custody for a violent offence." That was the case with Emily, a 31-year-old from Cape Dorset, Nunavut, who spent five years in jail for manslaughter. Emily — not her real name — was living on the streets of Ottawa with an alcohol addiction. She says she started to drink when she turned 18 after a traumatic childhood in which she was molested at age seven and raped at 14. "Trying to numb the pain," she said in an interview, her voice barely more audible than a whisper. "But it kept coming back." Emily had previously served time in a provincial jail in 2004 for assault and aggressive behaviour, which she blamed on her drinking problem — same as in 2009, when she got into a fight with another woman. She fought back, but went too far, she said, and the other woman was killed. Emily went from the Ottawa-Carleton Detention Centre to the Grand Valley Institution for Women in Kitchener, Ont., to the Joliette Institution for Women. She was released in September, and has stopped drinking, she said. The government study found aboriginals represent 34 per cent of all female and 22 per cent of all male prisoners in federal institutions. The numbers were slightly higher for both aboriginal men and women in provincial and territorial facilities. Kim Pate, executive director of the Canadian Association of Elizabeth Fry Societies, said a number of factors — including mandatory minimum sentences and more limited conditional release options — add up to a higher incarceration rate for society's most marginalized people. "The trajectory we're on doesn't create a lot of hope for very positive interventions," Pate said in an interview. "So one of the things we would very much like to see, in addition to accountability within the system and judicial oversight, (is) also a concerted effort to develop services in the community so individuals are prevented from being criminalized in the first place, if at all possible."